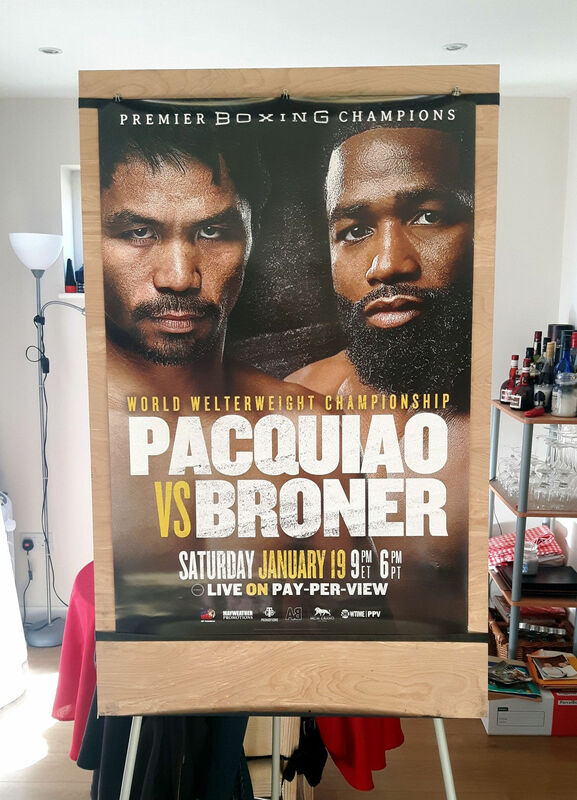 Description : Here we have an original full-size official 'Showtime' pay-per-view closed circuit boxing fight poster for the WBA world welterweight championship title bout held at the MGM Grand, Las Vegas, USA, 19th January 2019. 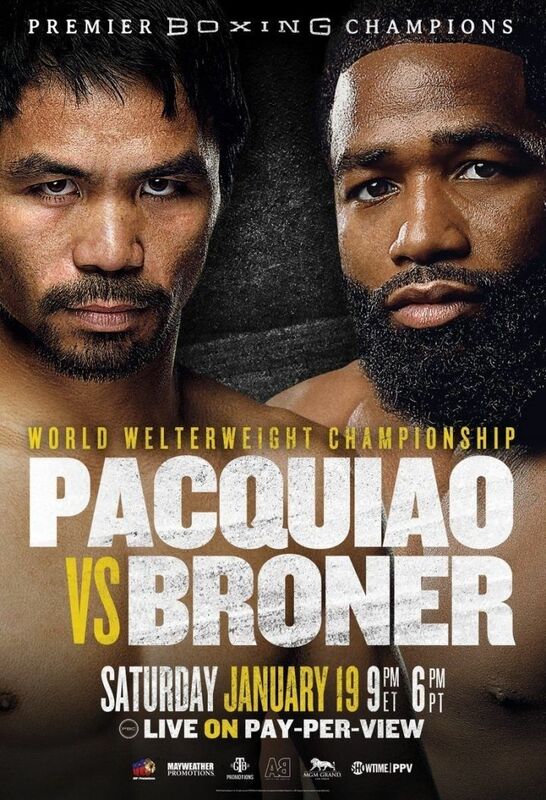 A 40 year old Manny Pacquiao cruised to a unanimous decision victory over Adrien Broner at the MGM Grand in Las Vegas to retain his secondary WBA welterweight title. 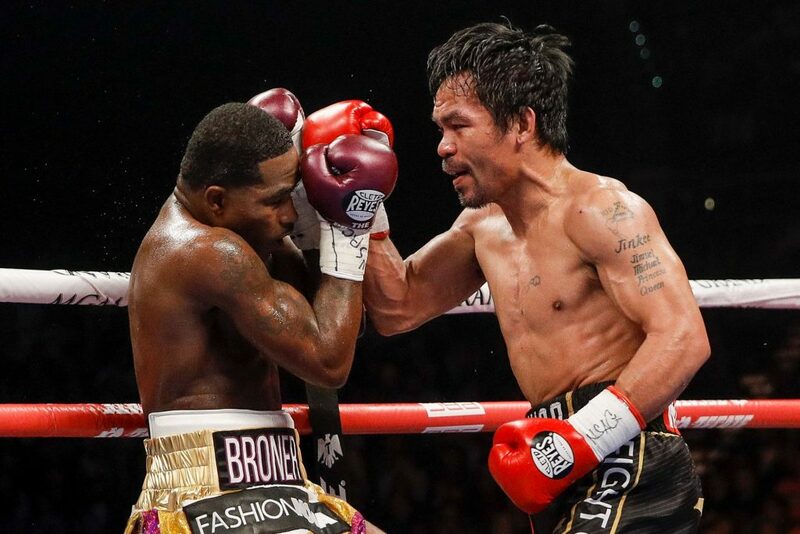 Using aggression and quickness, Pacquiao outclassed the reticent Broner, who sat back in an attempt to counter, but threw hardly any punches, and landed even fewer. The judges handed down scores of 117-111, 116-112 and 116-112. These Showtime PPV posters are not made available for public consumption & can only be sourced from a participating PPV outlet hence the scarcity as once the televised event if over, then these posters go straight to skip.